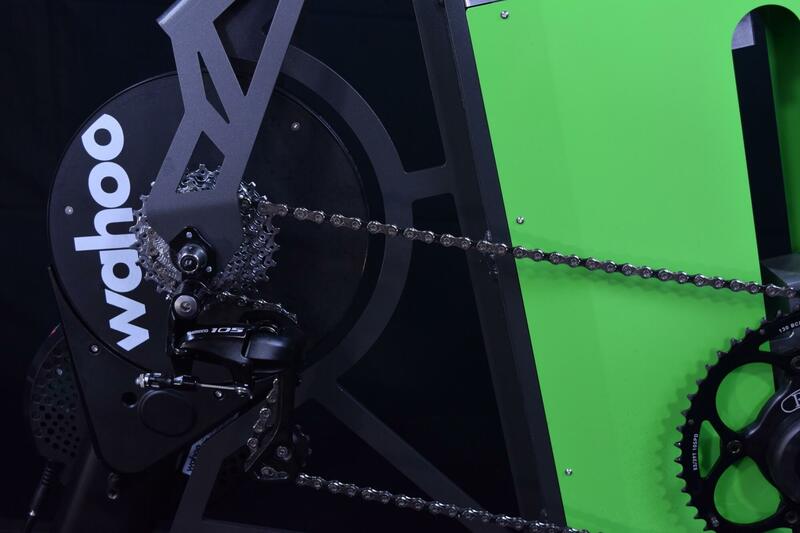 A bicycle fitting system and training simulator unlike any other. The Vertex Fit Cycle changes bike fitting forever, and is available now from Vertex Fit Systems. Forget what you know about “fit bikes” – the Vertex bike fitting system is unique in function and ease of use. On the Vertex Fit Cycle the rider remains stationary while contact points move around him. 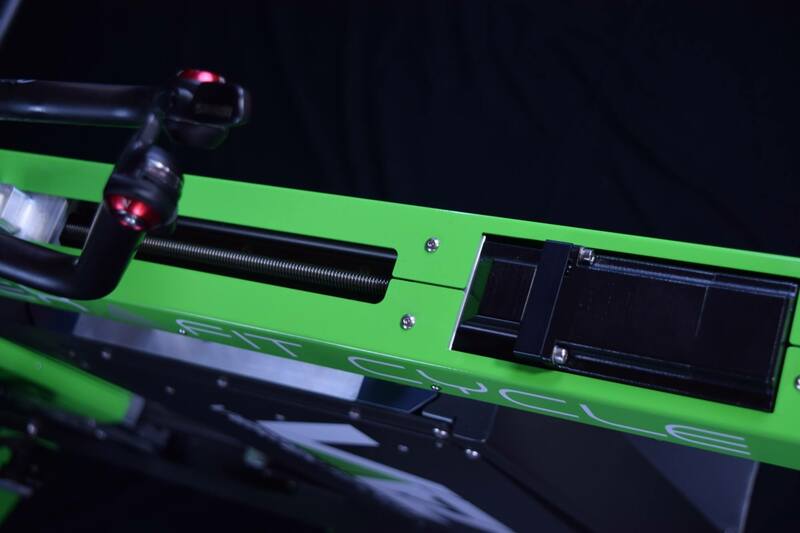 The Vertex is fully automated via digital stepper motors and easily changes fit parameters under high rider power output. Control the Vertex with and view real-time position data on any wireless device. The Vertex Fit Cycle is truly the most intuitive, easiest to use, fit, performance optimization, and sales platform for both the fitter and the athlete. Concept, innovations, and operation detailed for the first time. This is the best way to truly understand why the Vertex Fit Cycle is such a unique and useful platform. Why is the Vertex Bike Fitting System Simply Better than ALL OTHER Fit Bikes? Vertex: Adjust saddle height to the mm with wireless control, saddle height displayed in real time. All other fit parameters remain stationary. Athlete: Instantly feels effects of saddle height changes ONLY. Fitter: Loving it. All other fit bikes: Adjust saddle height using a hand wheel, a screwdriver, a quick-release, a PC, etc. Drop to bars and reach to bars changes. Effective seat angle changes. Athlete = CONFUSED. Fitter = CONFUSED. Vertex: Control precise seat angle to the 0.1 degree. Or swing through a range of seat angles. Real-time digital angle feedback. All other fit parameters remain stationary. Athlete: Instantly feels effect of seat angle change ONLY. Fitter: In total control. All other fit bikes: Push saddle forward or back with hand wheels, screwdrivers, quick releases, a PC, etc. What’s the new seat angle?? Saddle height changes. Reach to bars changes. Athlete: REALLY CONFUSED. Fitter: Getting fed up. Vertex: Precise digital control of front end position in X and Y. Athlete: Instant feedback as to the effect of independent or coordinated stack and reach changes as the fitter chooses. Fitter: Creating a masterpiece. All other fit bikes: More handwheels, screwdrivers, quick releases or PCs. Movements along diagonal planes. Still, compared to the other parameters, not nearly as bad. Vertex: Saddles preloaded in adjustable cassettes means saddle height NEVER CHANGES no matter how many saddles you try. 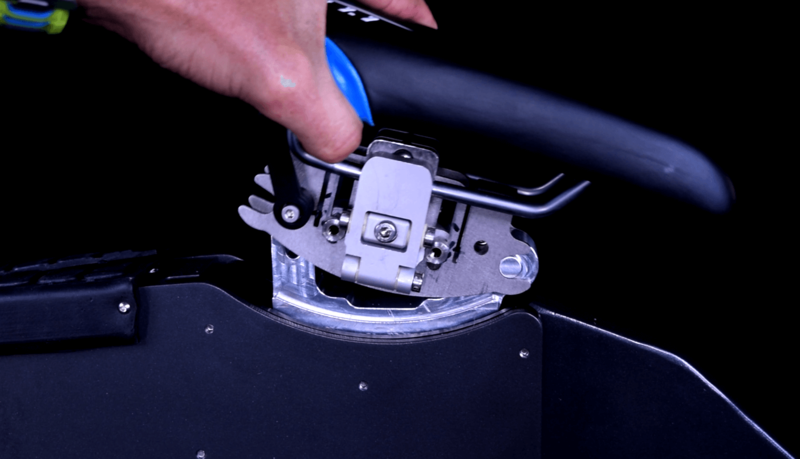 Easy saddle tilt adjustment ensures saddle is at proper tilt before the rider sits, and can be quickly adjusted while the rider pedals. All other fit parameters remain fixed. Saddle swaps take seconds – rider stays mounted. Athlete: Feels ONLY the new saddle. Fitter: Making athletes happier than ever, selling more saddles than ever. All other fit bikes: Changing saddle can result in changes to saddle tilt, saddle height, effective seat angle, bar drop and reach. Swaps can take minutes. Athletes may have to dismount. No easy tilt control. Athlete: I think I’ll just stick with that old saddle. Fitter: What a pain – changing the saddle messes up the entire fit! What can the Vertex do for You? Easily dial in the best road or tri fit for your clients. Start by converting their current fit onto the Vertex, and do your magic starting there. Save and quickly toggle between different fits for maximum feedback. 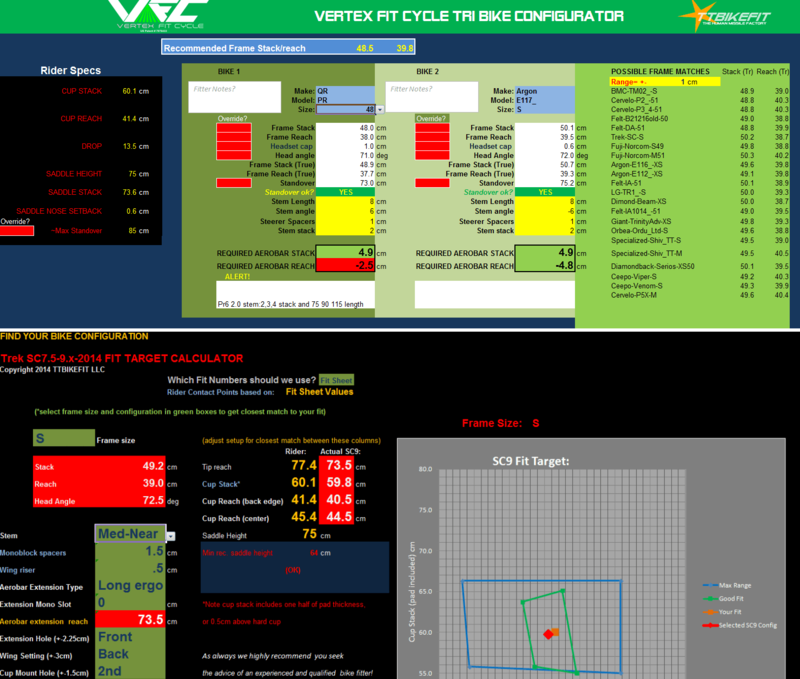 Quickly transpose Vertex Coordinates to the client’s own bike or virtually configure a new bike. Determine what bikes on the market will fit best. Quickly demo saddles, crank lengths, and front ends. Once you’ve tried it, you’ll feel naked without it. Differentiate yourself from the also-rans. Customers need more reasons than ever to come into your shop and the Vertex will give them a very good one. Plus, it is a fantastic sales tool and a way to instill credibility in your services. Easily transpose a customer’s current bike coordinates onto the Vertex, then make any fit tweaks as needed and quickly determine what bikes will work best for them. Use it as a demo/test platform for saddles, bars, pedals, crank lengths.  Besides general fitting services, use the Vertex as a training and testing platform to optimize performance. Determine if changes in fit coordinates improve physiological markers. Demo new equipment and try new positions. 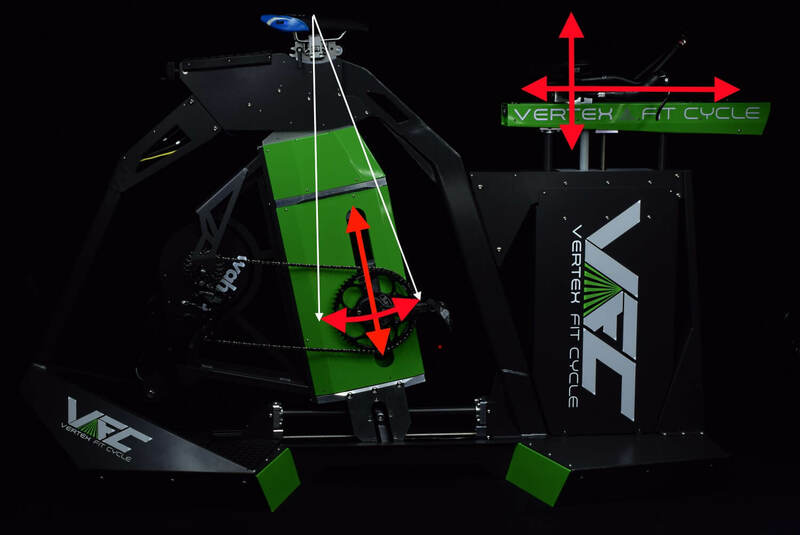 We currently (March 2019) have 1 Vertex Fit cycle available for purchase by qualified professionals at special terms. Contact Us via Phone, Direct Call or Email for More Info on the Vertex Fit Cycle: Available NOW to Select Fitters, Shops, and Coaches. Vertex was founded by bike fitter, long time triathlete and Mechanical Engineer Todd Kenyon (creator of TTBikeFit), along with his wife, 5x Ironman World Champion and Biomedical Electrical Engineer Lisbeth. In 2008 Todd began to create his own vision for an automated fit cycle, because nothing available provided the functionality he desired for his own fitting business. After constructing and testing a few working prototypes in TTBikeFit’s studio, a successful utility patent filing was executed. Shortly thereafter Mechanical Engineer and cycle-sport enthusiast Mike Medeiros joined VFS to assist in creating the production version shown here. We are happy to say that after many years of grassroots labor, the Vertex Fit Cycle is finally ready for prime time!